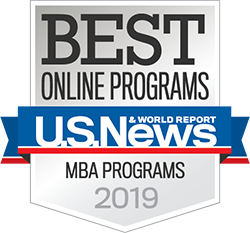 Ranked In the Top 10 By US News and World Report, the Ole Miss online MBA program is geared toward working professionals. The online MBA is a 36-hour comprehensive program that can be completed in as little as two years or extended to accommodate any work schedule. Courses are delivered 100 percent online — giving you the most flexibility possible. The challenging curriculum is taught by the same Ole Miss faculty who teach it on the Oxford campus and focuses on developing the analytical skills and breadth of judgment that are essential elements in effective decision making for any organization. A thorough understanding of the functional areas of business is built from the required courses. In only four semesters and two summer sessions, you can earn an affordable MBA online from an AACSB-accredited business school at the nationally respected University of Mississippi.